There are more than 2000 varieties of cheese available worldwide. People of Greece are the largest consumers of cheese worldwide. Cheese such as mozzarella, cheddar, Swiss and American, help prevent tooth decay. 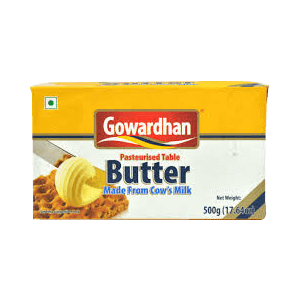 Pasteurized unsalted table butter made from clean and wholesome cream derived from 100% pure cow’s milk. It contains no preservatives or added flavours.